It’s time to find your SWEET SPOT. 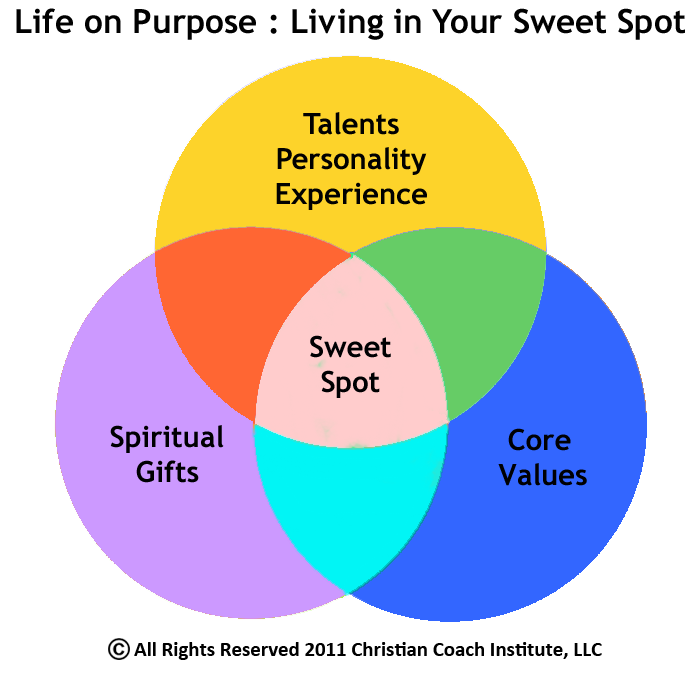 Everyone has a sweet spot!!! Everyone has been giving a gift that only they can OWN and Shine with in THIER life. I see so many people trying to be something that they are not called to be for various reasons. I must admit that I attend events that get me very excited and cause me to think that I am suppose to go down that road but as I get older I have realized each person has a specialized quality that you must follow. If you have spent a lot of time and money doing various things, it’s okay consider those experiences. Take time now to think about what’s different about you, where do you see you CHARGE AHEAD–right there is where your SWEET SPOT LIES.